Another Perfect Weather Week for Golf In Jupiter, Florida! We’ve had ten weeks of clear, cool and sunny weather in Jupiter, Florida! Conditions were ideal during the recent Honda Classic in Palm Beach Gardens. No one can remember a more beautiful season of weather here in Palm Beach County. St. Patrick’s Day–and again the weatherman is predicting a sunny week ahead. 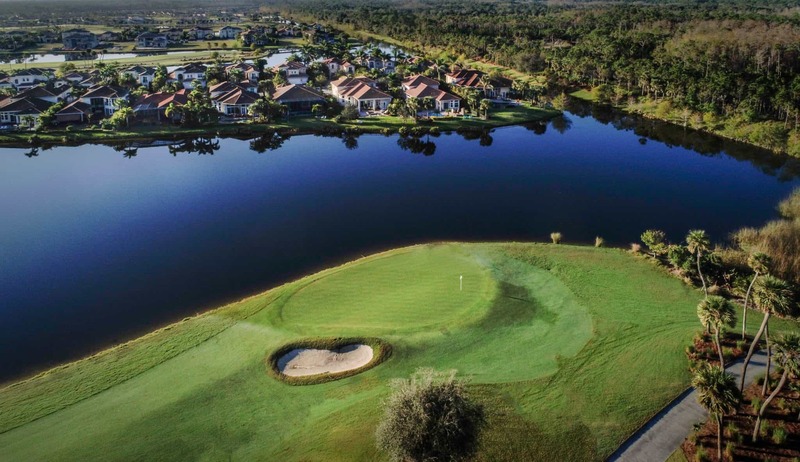 Here’s a photo of Jupiter Country Club’s Signature 16th hole we took with our drone recently.